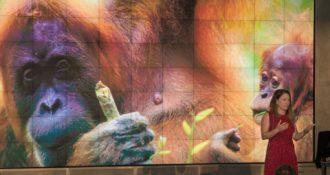 Dr. Craig Stanford’s lecture “The New Chimpanzee: A Twenty-First-Century Portrait of Our Closet Kin” is just around the corner on Tuesday, December 4, 2018, at the California Academy of Sciences in San Francisco. Stanford will discuss the past two decades of chimpanzee field research. From culture to warfare, from our diet to our politics, the study of wild chimpanzees continues to change the way we understand both human nature and the apes themselves. What makes Dr. Stanford such an authority on the topic of chimpanzees? Craig Stanford is a primatologist and biological anthropologist. 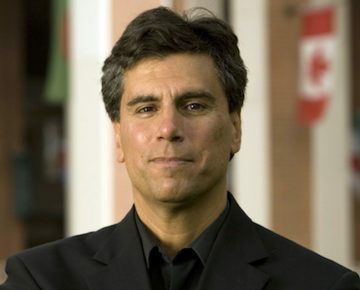 He received his Ph.D. from the University of California, Berkeley, and is currently professor of biological sciences and anthropology at the University of Southern California. He also serves as co-Director of the U.S.C. Jane Goodall Research Center. 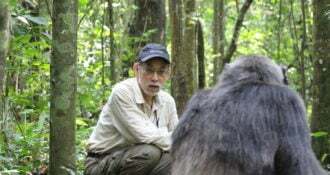 He has conducted field research on chimpanzees and many other animals for 30 years in Africa and Asia. He has worked in collaboration with Jane Goodall in Gombe National Park in Tanzania where his study of chimpanzee meat-eating was funded by The Leakey Foundation. Stanford is the author of 16 books and 150 articles on animal behavior and wildlife conservation. His research has been supported by numerous grants from The Leakey Foundation, the Fulbright Foundation, the National Geographic Society, and many others. In addition to being a well-known authority on primate behavior and human origins, Stanford is also a wildlife photographer and deeply involved with wildlife conservation. Join The Leakey Foundation, California Academy of Sciences, and Dr. Craig Stanford on December 4th for this exciting lecture. Dr. Stanford will be signing copies of his recently released book The New Chimpanzee: A Twenty-First-Century Portrait of Our Closet Kin after the talk. Get your tickets now! The New Chimpanzee by Craig Stanford video provides insight on the focus of both his lecture and book. Follow Craig Stanford on Twitter @craigstanford7 for the latest science. 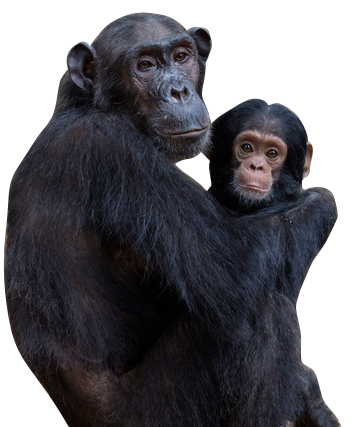 The Leakey Foundation has partnered with the Chicago Council on Science and Technology, the Lincoln Park Zoo, and Columbia College Chicago to bring primate behavioral ecologist John Mitani to Chicago for two exciting events about chimpanzee behavior. Mark your calendar for our fall 2018 lecture series featuring Nina Jablonski, John Mitani, and Craig Stanford.